This semi-outdoor show took place at an ampitheatre in Hoffman Estates, a suburb of Chicago. A fan recalls it was packed, with the lawn overflowing. Brian May has a great night at the office, offering some fabulous guitar work throughout the show. After Under Pressure he says how "it feels good to play in Chicago in the countryside here. Very nice." It seems the acoustics aren't great at this venue (like the last time they played in Chicago), as he then asks the audience, "Everybody hear alright? Right at the back there in the grass and stuff? We'll be okay. We're having a bit of trouble hearing ourselves, as everything tends to go out. But it's gonna be alright. This is the quiet part of the set anyway, so this is gonna be easy. We weren't really going to introduce this, except that Freddie wrote this for a very special person for the last album." This is the last known performance of Life Is Real, Freddie's song for John Lennon that was played only a handful of times. 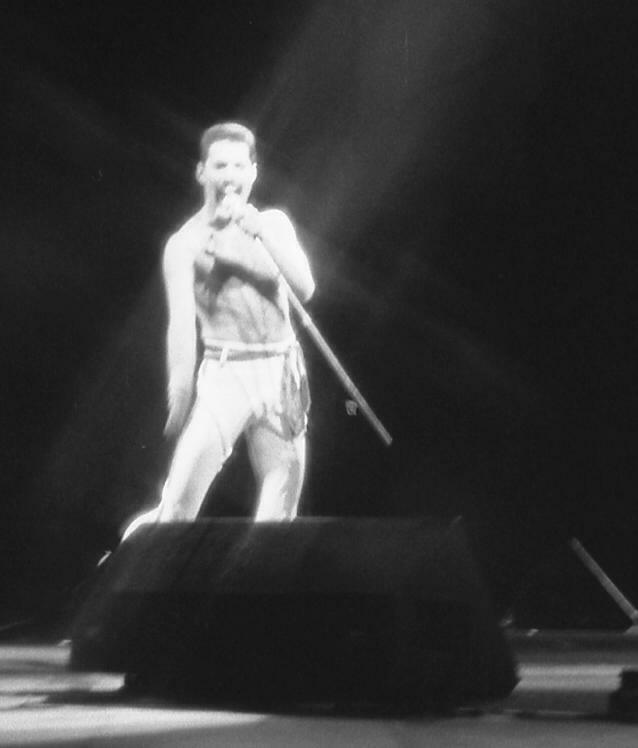 After the gentle ballad, Freddie invites everyone to stand up and take their clothes off, and adds, "I was only joking when I said this was like Las Vegas." This show's Fat Bottomed dedication is to "anybody that's got herpes here tonight." He adds, "I'm sure some of you have it. Don't be shy. This is also dedicated to all the street girls that walk around at night, and anything that's bad, or is good." Comments like these make this tour's off-stage excess painfully evident in retrospect. The band nonetheless offer a fantastic and longer than usual rendition of the song, clocking in at over 5 minutes. About a minute into the long ending, Brian plays a few riffs similar to those in Father To Son from Queen II. Thanks to Mariusz Neugebauer for pointing this out. 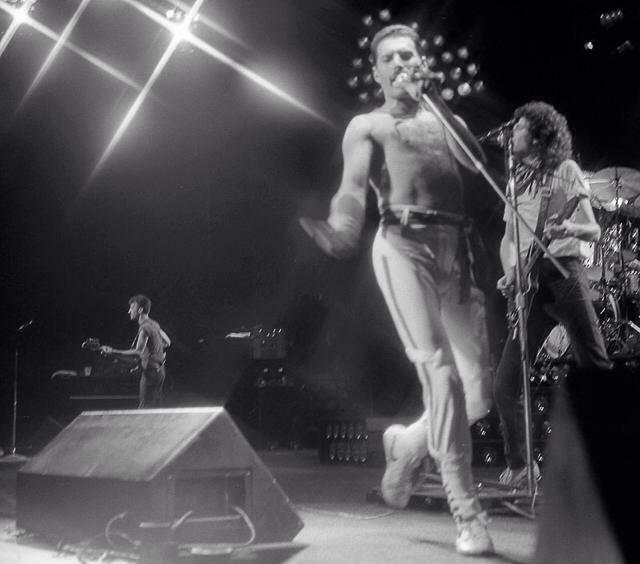 In the first verse of We Are The Champions, after "And bad mistakes," Mercury humourously adds, "On this piano," and continues along with "I've made a fool." It seems the band have dropped Somebody To Love from the setlist, as their current single, Calling All Girls, has taken its spot. The gospel-tinged classic would soon be revived in Japan. Brian May later reflected on the aforementioned excesses that almost certainly peaked for the band on this tour: "It fucked us up in the way only an out-of-world experience can do. Queen were the biggest thing in the world. You're adored - surrounded by people who love you, yet utterly lonely. The excess leaked from the music into life." The pictures were taken by Alissa Behn. There is some tape hiss, and the drums are sometimes a bit buried in the mix of this otherwise great recording. This is the best-sounding recording of Queen performing Life Is Real.